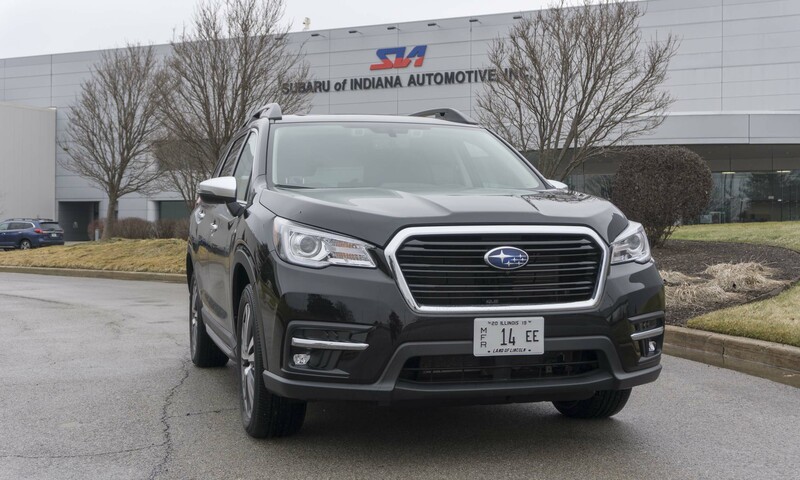 We recently visited Subaru of Indiana Automotive, driving south from Chicago in the all-new 7-passenger Subaru Ascent. The Ascent is one of the models built at SIA, so one might say our conveyance got to return home for a visit. After cruising through about 130 miles of farmland, we headed west on Indiana 38 into America’s heartland. Passing through field after field gave the impression we’d made a wrong turn, when suddenly to our right a massive complex of buildings emerged, covering more than 800 acres: the only Subaru plant outside of Japan. Back in the early 1980s, this entire area was farmland. At the time, Subaru’s parent company Fuji Heavy Industries (now Subaru Corporation) teamed with Isuzu Motor Company to seek a location for building an assembly plant in America. Ultimately Lafayette, Indiana, became the chosen site, buoyed by state incentives and proximity to the engineering school at Purdue University. 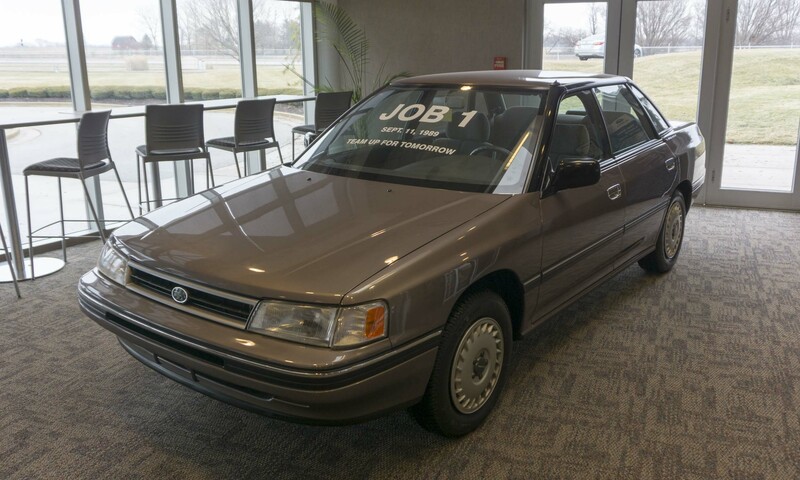 In March of 1987 Subaru-Isuzu Automotive incorporated within Indiana, and two months later officials broke ground and construction of the assembly plant began. On September 11, 1989, in what was then a 2.3-million square-foot facility, Subaru produced its first Legacy, followed by the Isuzu pickup (known as the P’up). 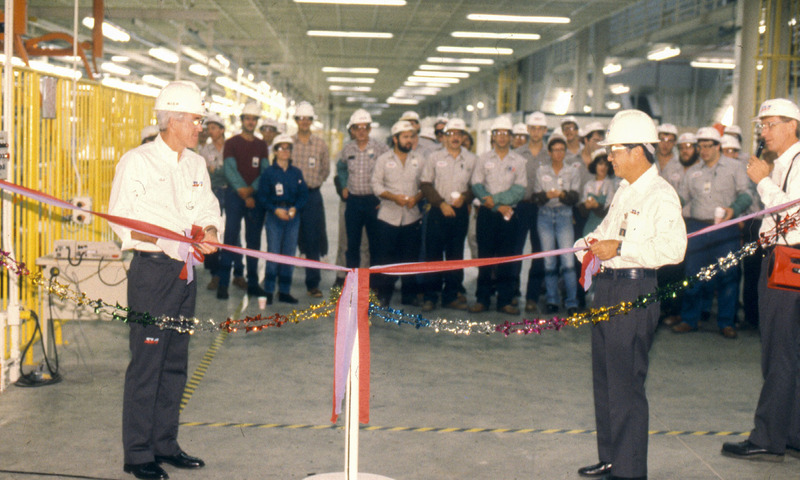 In the close of that first year the plant produced 4,087 vehicles — 1,640 of which were Legacys. Production grew during the ensuing years, as did the variety of vehicles rolling off the assembly line. 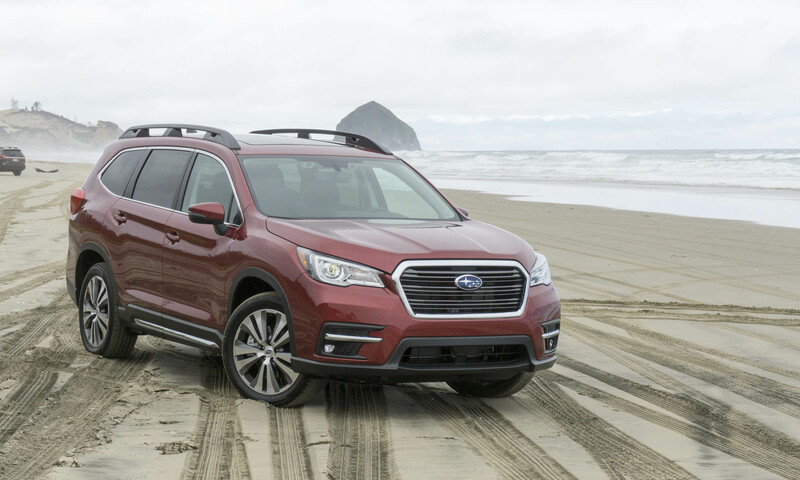 However, with Subaru producing the Outback and Isuzu producing the Rodeo, suddenly the two partners were vying for the same customers clamoring for SUVs. 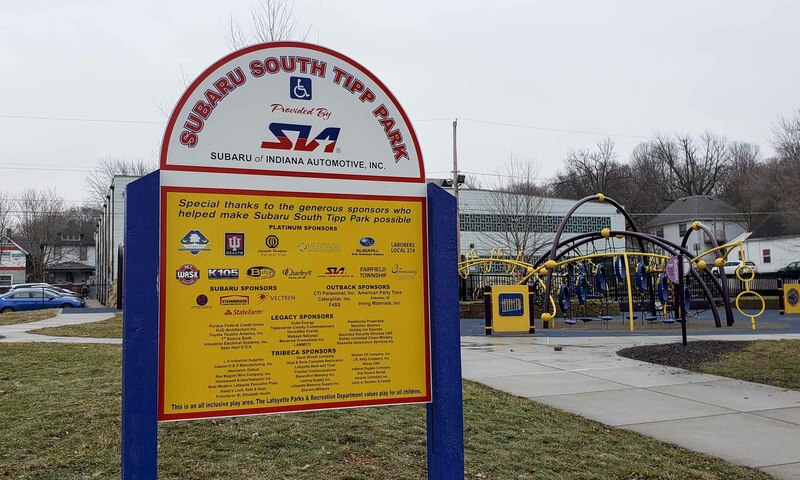 In January of 2003 Fuji Heavy Industries purchased Isuzu’s interest in the plant and it was eventually renamed Subaru of Indiana Automotive. A few years later — in 2007 — SIA began building the Toyota Camry alongside the Subaru Legacy and Outback. 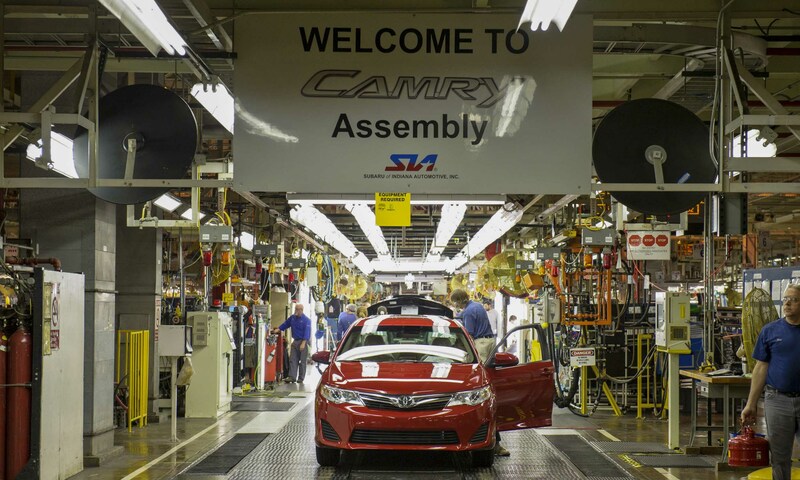 This arrangement lasted until 2016 when Toyota moved Camry production to its Georgetown, Kentucky, plant and Subaru made plans to add production of the all-new Impreza — which had never been built outside of Japan. 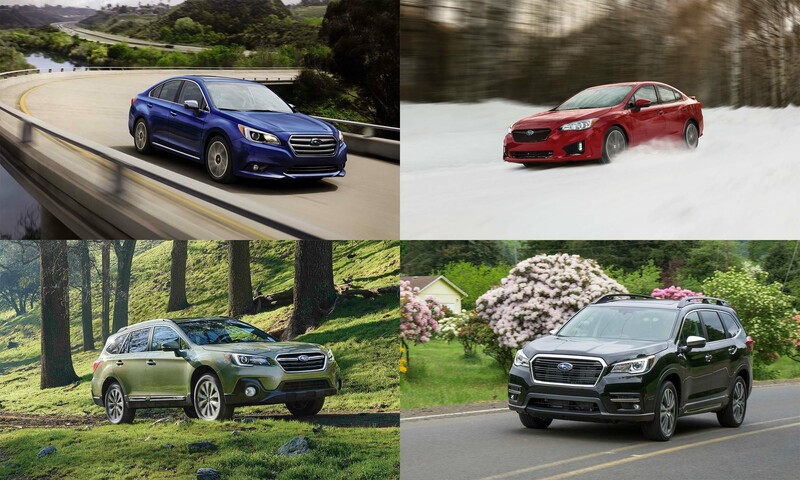 Subaru of Indiana Automotive is now building four different Subarus: Legacy, Impreza, Outback and Ascent. Currently the factory builds cars in two shifts on two assembly lines; a third shift does maintenance work and produces spare or replacement parts. About 350,000 vehicles emerged from SIA last year, and the company expects that number to continue to grow. Taking a tour on the floor of an assembly plant such as SIA can be both exciting and intimidating — heavy machinery moves everywhere, welding robots send sparks flying and forklifts buzz all over the place. We donned hard hats, goggles and sleeve protectors before heading out onto the assembly floor. 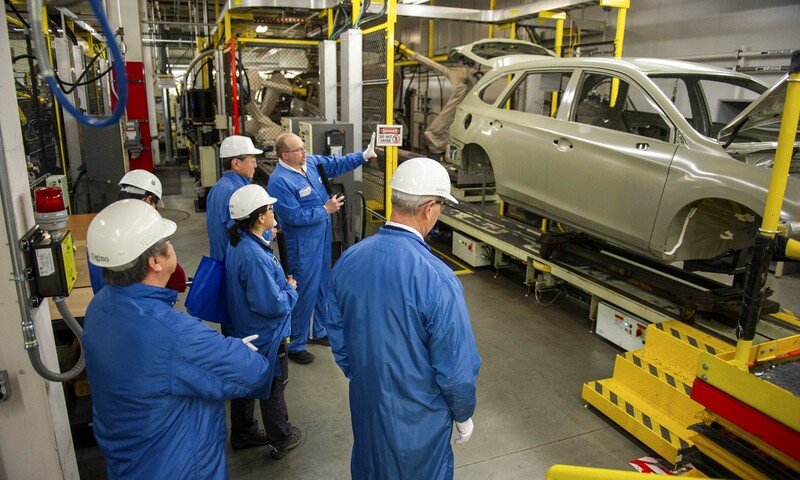 The safety gear is necessary for anyone on the floor: this Subaru plant has the one of the top safety records of any automotive assembly plant in the country. With expansions occurring over the years since the plant was first built, it now covers more than 4.4 million square feet. The assembly line conveyers alone are more than 16 miles long. Appropriately, our tour guide started us at the origins of the carmaking process. It’s hard to believe, but every Subaru coming out of SIA starts out as a roll of steel. The rolled steel is sourced locally and delivered in different sizes. 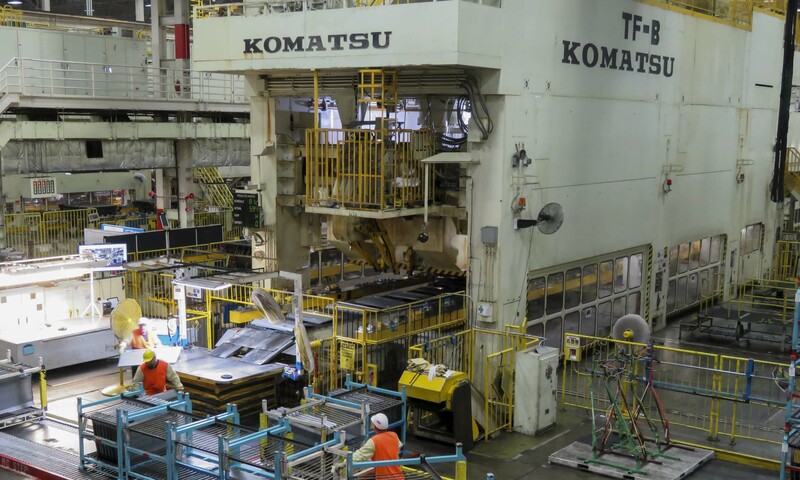 As part of Subaru’s quest to become a zero-landfill plant (which it has been since 2004 — more on that later), steel suppliers adjusted the size of the rolls for different applications, saving more than 100 pounds of steel waste per car. These steel rolls are then cut into the required parts to build a vehicle. Stamping out steel parts is no easy task, and it is one of the most impressive exercises in the plant. Subaru has five multistory machines used to cut out vehicle parts by applying up to 4,500 tons of pressure with a variety of cutting dies. The dies come from Japan and are kept for up to 10 years to make replacement parts. While we watched, one of these machines produced vehicle floor pans at a rate of about one every 10 seconds. 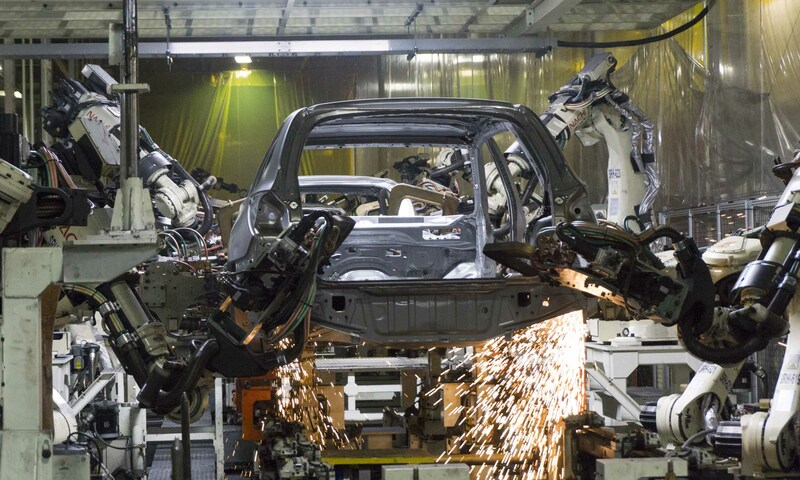 The parts are then welded together by more than 1,600 robots in the body assembly area to create the vehicle shell. At this stage, random body shells get pulled from the line for inspection. This is a non-invasive process so — assuming no issues are discovered — the body is fed back into assembly. 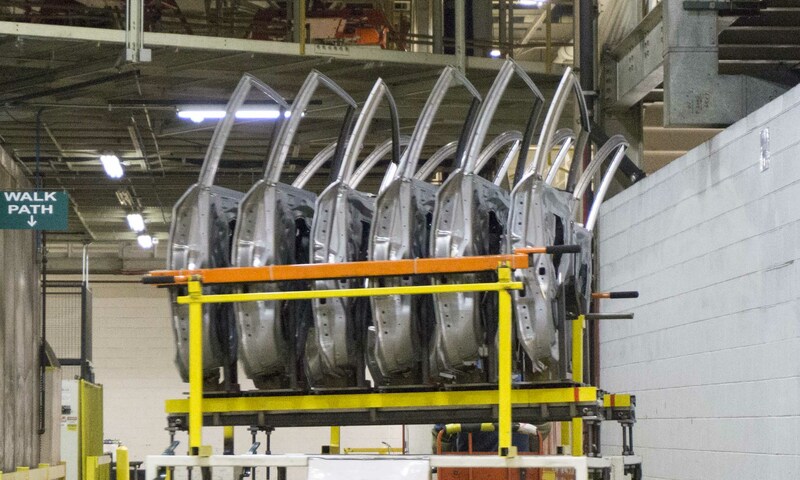 Once the body structure has been built, doors are attached before heading to the paint shop. Previously, Subaru painted the doors and bodies separately, but the paint often didn’t match perfectly; painting doors and bodies as one unit solves this issue. However, installing the interior features (seats, electronics, dashboard, etc.) is considerably more cumbersome with doors in the way, so the doors get removed after painting and are later delivered back to the assembly line, matched back to the exact vehicle. It takes about eight hours for each vehicle to undergo the painting process. The entire paint shop is a clean environment that controls temperature and humidity while eliminating dust and chemical contaminants. Associates working in the paint shop are restricted from using certain personal hygiene products or perfumes and colognes that can cause the paint finish to separate, or crater. With an eye to the utmost in quality control, a list of acceptable products is supplied to all paint-shop associates. Ultimately, more than 5,000 parts go into making a Subaru a Subaru. 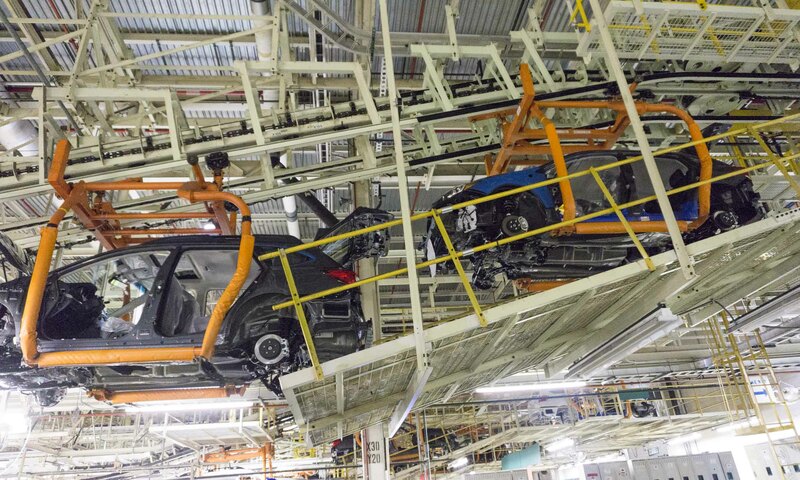 On the final section of the assembly line, the bodies have already been attached to the drivetrain and begin to look like cars. Bumpers get attached along with the headlight assembly, steering wheel, rematched doors and finally wheels. As the vehicle, now lowered onto its tires, reaches the last position on the line, the first gasoline gets put into the tank. And what had once been a simple roll of steel gets started for the first time and driven off the assembly line under its own power — thus a car is born. This happens every two minutes for Outbacks and Imprezas on one line. Another assembly line turns out Ascents, Imprezas and Legacys at the rate of one every 64 seconds. Ultimately it takes about 16 hours for a vehicle to be built (including the 8 hours for painting) from start to finish. Within three days vehicles are loaded onto a truck or train for distribution throughout the country. 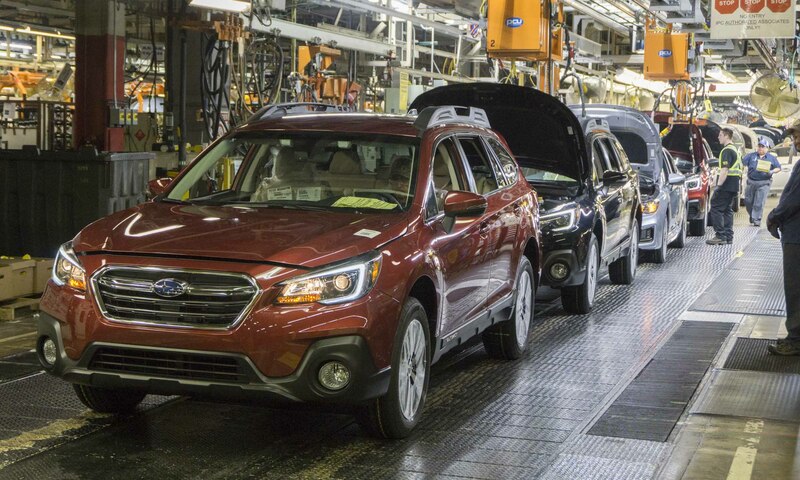 Subarus built in Indiana stay in the United States — no vehicles get exported from this assembly plant. 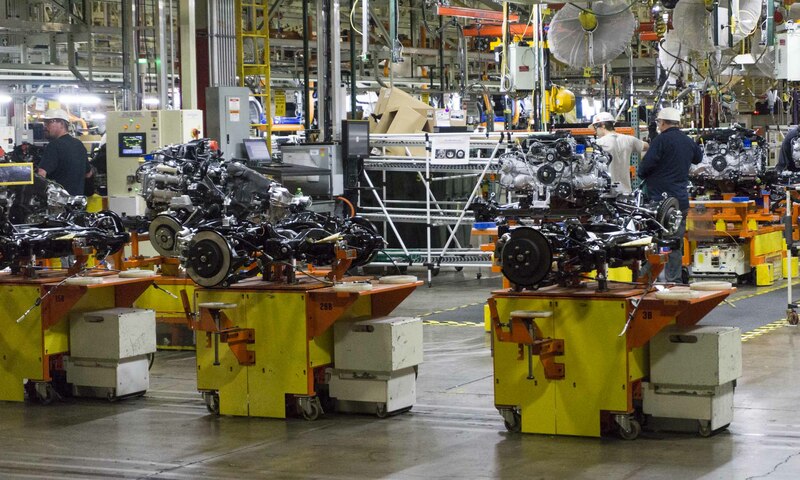 Not only has SIA gained prominence for building Japanese cars in the middle of Indiana, the factory is also one of the cleanest plants in the world. 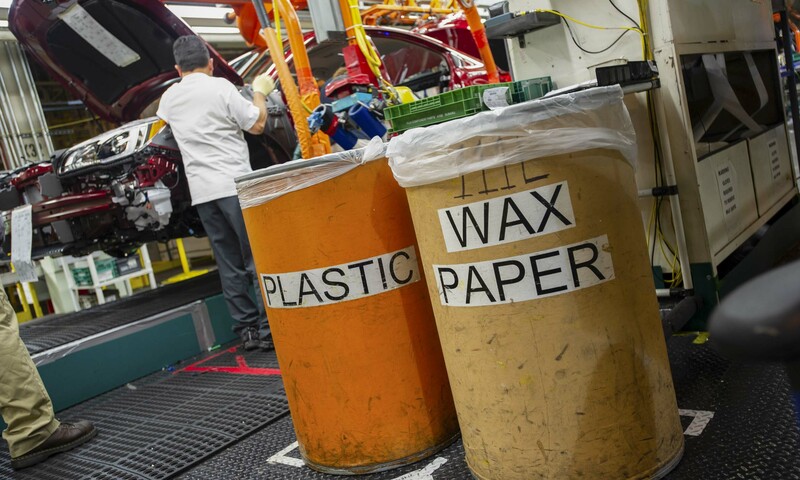 In fact, the plant has not sent anything to a landfill since 2004, making it the first automotive assembly plant in the U.S. to become a zero-landfill facility. Tom Easterday, now retired Subaru senior executive vice president, was fond of telling visitors to the plant that if they bought a cup of coffee and threw away the cup, they would have sent more to the landfill than the factory had sent in a year. 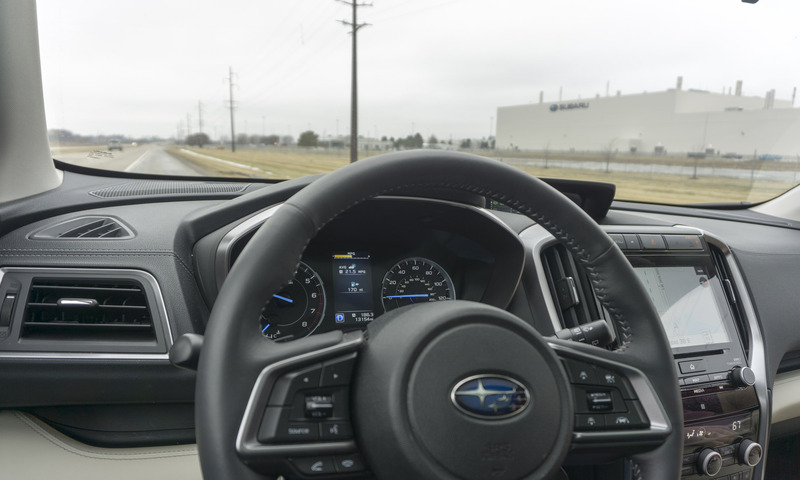 Subaru of Indiana Assembly’s environmental awareness has been made possible through the ideas of reduce, reuse and recycle. The three environmental “Rs” were evident during our tour of the facility, where every material and component gets scrutinized. 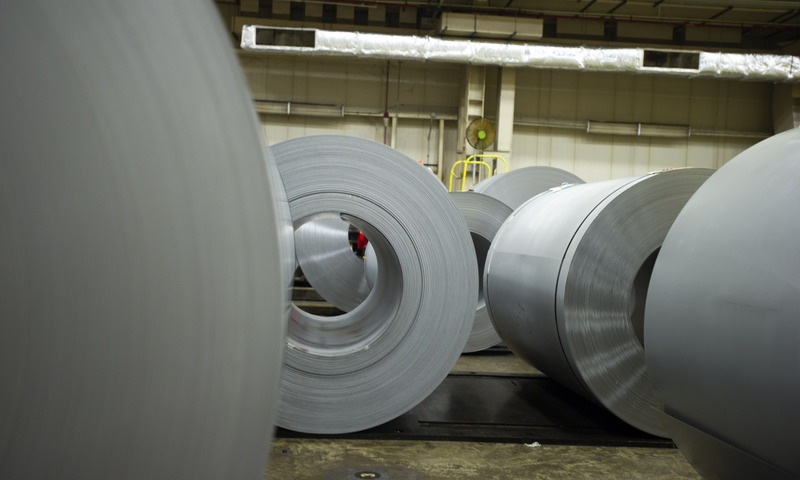 As mentioned previously, the rolls of steel used to cut all vehicle components now come in different sizes to reduce waste. 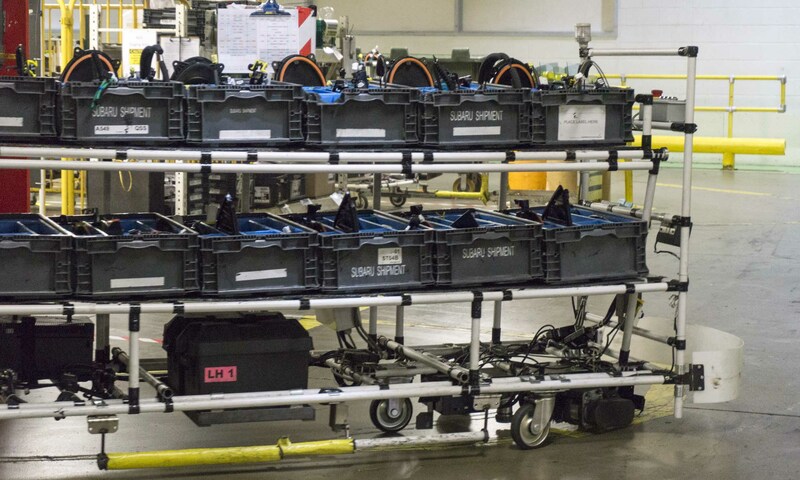 Subaru asked suppliers to ship parts in reusable containers to eliminate wasted packaging. We even observed associates scraping excess paint off a vehicle hood in the paint shop, placing it in a container to be reused. Not only have these efforts resulted in a cleaner operation, it has saved the company millions of dollars in operating costs. 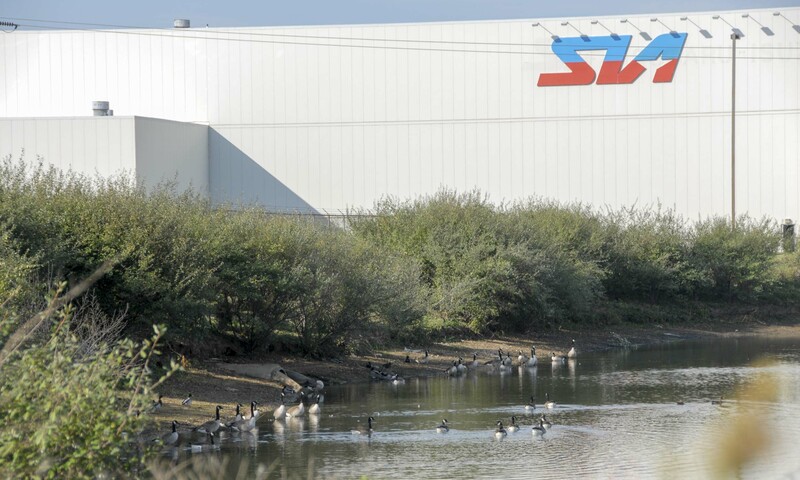 The SIA assembly plant isn’t only clean on the inside — since 2003 the grounds have been designated a Backyard Wildlife Habitat by the National Wildlife Federation. The land surrounding the plant serves as home for a variety of birds and animals including white-tail deer, red-tail hawk, blue heron, Canada geese, mallard duck, beaver, coyote and snapping turtles. SIA has also been of great value to the local community. In addition to employing almost 6,000 “associates,” the company has committed to making gifts to qualifying organizations, institutions or entities within Indiana that will improve the quality of life and help meet the needs of Indiana residents. Earlier this year SIA granted more than $90,000 to 12 Indiana nonprofit organizations including the Boys & Girls Clubs of Indianapolis and Meals on Wheels. SIA also supports programs that provide STEM (Science, Technology, Education, and Math) education opportunities for young students. People tend to love their cars, and Subaru even plays on this notion in their ads. But with Subarus being built in a plant that pays so much attention to saving the environment while supporting its local community, perhaps the brand’s line of “Love. It’s what makes a Subaru a Subaru” runs deeper than simply an advertising campaign slogan. 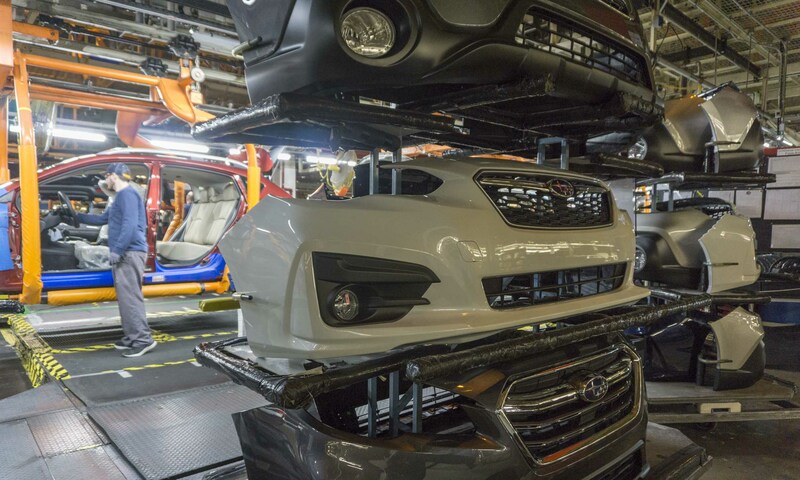 The post A Car Is Born: Inside Subaru’s U.S. Plant appeared first on autoNXT.net. Mike Caudill Is Your RV, Motorhome and Camper Expert This Spring!